This question has just come to my thoughts recently after my own recent experience with having Solar installed on my roof, it had been a real learning curve for me. I had seven quotes in all, ranging from ridiculous prices for bad quality gear to very competent installers with quality product and everything in between. Which got me thinking of my own profession, how does one know a good teacher from a bad one. So how does one know if the School or teacher that you are about to join is any good. Is it just good luck or is there a way or a method to eliminate the bad ones. I have listed a few ways that will help you in choosing a reputable School. Generally a person or School that has been teaching for many years (anything over 10 years) is a good start. Be careful that you don’t confuse a School that's been established for a long time with the actual teachers. Often it’s the case where Schools have been in operation for many years but are staffed by teachers who have only just started teaching. The bad Schools and teachers only last few years then are gone. You would like to think that if a teacher has been teaching Tai Chi for quite some time that they have at least stood the test of time. A lot of the arts and sciences from China tend to lean towards more qualitative than quantitative in nature. For example in Traditional Chinese Medicine you take the radial pulse as a means to diagnose illness and disease. To learn to differentiate the subtleties of these pulses takes years and years to learn. You need to learn from a good and experienced teacher who can point out these subtleties of the 12 different pulses. Tai Chi is exactly the same, the subtleties of the alignments (which are different from western understanding of alignments) within the postures you learn are very exact. Literally a couple of millimetres here and there can mean the difference between knee damage and not, I’m not exaggerating. From my own personal experience not always, but in most cases the bigger the school the lower the standard of the teacher The bigger schools tend to lose the subtitles. But then again I have seen some shocking teachers in small schools. However due to their size the damage they can do is restricted. Very large School can do a lot more damage. Quite often various schools will throw up that they belong to such and such association or that they are accredited with registered bodies or authorities . In truth they aren’t worth the paper they are written on. Anyone can teach Tai Chi you could literally watch a dvd on Tai Chi and teach it the next day (don’t laugh I’ve seen it done in the early days, some people would actually make up Tai Chi moves and teach them). There is a very large Tai Chi association that is in existence today (I won’t name it) and is promoted that all their teacher are qualified and accredited through this association. I use to receive phone calls from people asking me whether I was registered with this association or not. I got tired of explaining the truth about this association. So I sent $25 off to this Post Office Box and got my dog registered as a teacher with them I still have his membership card. So when people would ring me to ask if I'm registered with this association I would say no, but proudly my dog was, and that I could send him around to teach them, no payment was required, but a scratch behind his ear was all the payment he needed and maybe throwing the odd ball for him. 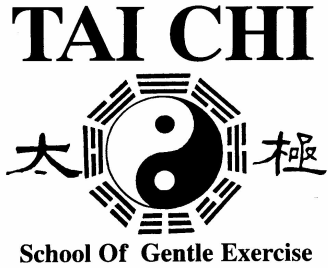 It proved a point, that anyone and anything could be a registered as a Tai Chi teacher with this association. I myself am registered with AHPRA as an acupuncturist I have to be, otherwise I’m off to jail. But with Tai Chi there is no recognised authority or body that you need to qualify through. So be weary when a school starts pushing the accreditation angle. Personally I think a Tai Chi teacher should have a first aid certificate. It really is just common sense to have one these days especially when a lot of your clientele can be elderly. In 36 years of teaching full time I have never had to use it, but always good to have. A good rule of thumb to go by is the teachers lineage. If you can trace your teachers lineage back a couple of hundred years that is a good sign. It means that the teacher has been given permission from their teacher to include themselves in the family tree. Not given out lightly only to the most serious of students. There is a standard joke amongst serious Tai Chi teachers, that the biggest export out of China after rice are Tai Chi Masters. The truth is, there are no Tai Chi Masters in Australia, just because someone calls themselves a Master doesn’t make them one. There is no test to sit that makes you a Master. So if someone calls themselves a Master, that should set off some alarm bells, be careful. Just because someone is Chinese or Asian doesn’t make them good at Tai Chi. People mistakenly assume that if their teacher is Chinese their Tai Chi must be good. Some of the worst teachers I have seen have been Chinese. Also because someone has learnt their Tai Chi in China that they also must be good. Unfortunately the communist upon taking power in China killed off a lot of the old masters and severely suppressed the old teachings of Tai Chi (it was considered counter revolutionary). Tai Chi has to be trained and taught for many many years before one is proficient at it. It has nothing to do with genetics or location. Go along to a class watch a class in action. Watch how the instructor teaches and interacts with the students are they mindful that everyone can see them, do they explain the postures and how you move from one posture to the next. Are they constantly explaining and demonstrating the principles, the do’s and don’t’s of the posture. Are they consistent in the application of these principles throughout the form. Talk to them, ask questions if you have specific aims that you want to achieve from Tai Chi. Such as how Tai Chi will help my knees, back or shoulder problems. They should be able demonstrate and explain to you how it will help. You should be able to get the measure of a teacher pretty quickly by their answers and how specific they are with answers. Be wary of general and vague answers such as the Chi moving through the body heals and makes the body healthy. A little bit of common sense and an inquiring mind goes a long way in helping you to find a good Tai Chi teacher.